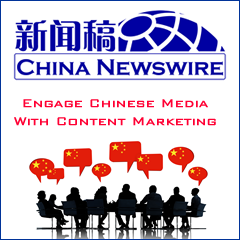 San Francisco, U.S.(April 20, 2011) /ChinaNewswire.com/ — The Golden Bridges Foundation, a nonprofit promoting mutual understanding between America and China, has just launched a new online platform to connect Americans that lived and studied in China. The website, called Project Pengyou, seeks to build an online community of Americans serving alumni groups from President Obama’s 100,000 Strong Initiative and those that came to China previously. President Obama unveiled the"100,000 Strong Initiative" during his 2009 visit to China, and Secretary Hillary Clinton officially launched the initiative in May 2010 in Beijing. Last Tuesday at the US-China Consultation on People to People Exchange held in Washington DC, State Councilor Liu Yandong announced that China would give out an additional 10,000 bridge scholarships to Americans for study in China, adding to the already committed 10,000 scholarships in support of 100,000 Strong. In January 2011, on the occasion of the state visit of Chinese President Hu Jintao to Washington, the two nations reaffirmed their commitment to enhance people-to-people engagement through educational exchanges. Project Pengyou plans to be a catalyst for the 100,000 Strong Initiative promoting US-China ties by serving the community of Americans that have lived and studied in China. The site, now in its beta version, will begin with a focus on polling Americans about their experiences in China, offering a roundtrip plane ticket to China as a raffle prize to participants. Earlier this year, the US-based Ford Foundation provided a seed grant to Golden Bridges to create the Project Pengyou alumni network to help fuel momentum for the 100,000 Strong Initiative. "I believe the Americans that studied and lived in China share a unique and transformative experience," said Holly Chang, Founder of The Golden Bridges Foundation. "Project Pengyou celebrates this, and offers a way to enhance their lifelong China education and experience." To learn more, visit Project Pengyou online at http://projectpengyou.com. Holly Chang is a Chinese-American social entrepreneur based in Beijing and San Francisco. She has over 11 years of executive management experience in both the US and China, working on fast-tracked projects budgeted up to US$1.3 billion. She is the founder of the Golden Bridges Foundation and a trusted international advisor to many nonprofit practitioners in China. Ms. Chang has a background in civil engineering, psychology and business. She previously worked for United Parcel Service as a Plant Engineer in their operational hub in Louisville, KY. In 2007, Ms. Chang invested her life savings to start the GoldenBridges Foundation, and has since supported over 100 NGOs as a program accelerator and capacity builder. Ms. Chang entered college at 16, and graduated with dual degrees in BS Civil Engineering & BS Psychology from the University of Kentucky, & she holds an MBA with thesis on the China market from Bellarmine University.